Groups of vocational education and training (VET) learners in the European Union, Norway and Iceland are invited to share their VET experience through a photo story for a chance to win a trip to the European vocational skills week in Vienna or the Thessaloniki International Film Festival in November 2018! If you wish to participate you should form a team of up to four members and produce an original photo story with 3 - 5 photos with a short narrative of up to 100 words explaining the idea behind your work. First and second prize winners will travel to Vienna where their work will be showcased at a gala dinner on 8 November and at the award ceremony of the European vocational skills week on 9 November. Third prize winners will travel to Greece for the opening of the Thessaloniki International Film Festival on 1 November. Travelling and accommodation expenses for the winners will be covered by the organiser. 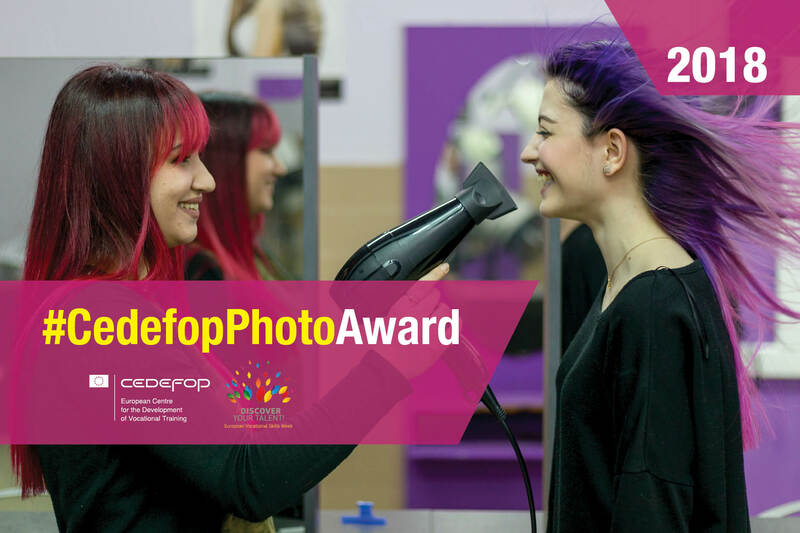 Cedefop will also showcase the photo stories of winners and runners-up in exhibitions in both cities. Submit your entries by 15 July 2018, 23:59 CET.